An integrated travel and expense solution for small businesses. 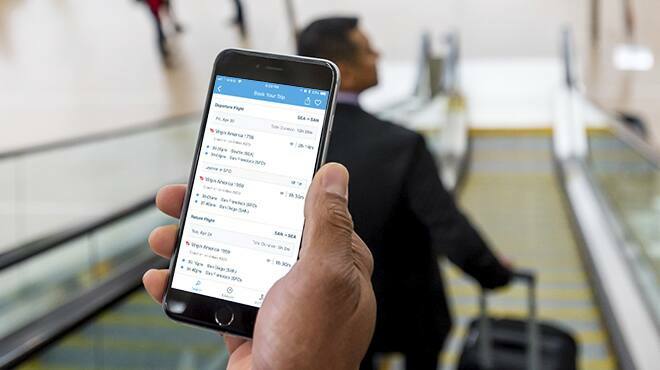 Concur Hipmunk helps you find hotels near your meetings and flights that fit your schedule. Visual search results help you quickly identify the best options. Get special discounts with airline, hotel, or car-rental partners. Pre-negotiated rates help your business benefit from buying power available to larger business clients. Access the most comprehensive travel search results on the market including apartment rentals. Employees can still benefit from their favorite rewards programs and continue to collect rewards when they book with select partners. Automatically send bookings into Concur Expense to monitor and influence spend. Maintain a unified itinerary that supports your duty of care with TripIt Pro. When you’re ready for a fully-managed travel solution with Travel Management Company (TMC) partners, SAP Concur can help you get there. Stay one step ahead and instantly organize your travel plans in one place, whether you're traveling for work or for fun. Hipmunk and Concur Hipmunk are trademarks of Hipmunk, Inc. and Concur Technologies, Inc.